The passenger jet went down after the runway ended. An Aeromexico jetliner carrying 103 people crashed Tuesday while en route to Mexico City. The four crew members and all 99 passengers aboard -- 88 adults, nine children and two infants -- survived, Mexican officials said. Aeromexico Flight 2431 went down not long after departing from the General Guadalupe Victoria International Airport in Mexico's northwest state of Durango, according to Durango State Gov. José Rosas Aispuro Torres. Eighty-five people were wounded in the crash, including two critically, Alejandro Cardoza, a spokesman for Durango state's civil protection agency, said on local television. Everyone who was on board the plane has been sent to local hospitals, Cardoza added. "The scene that we can see here is approximately 1 kilometer from the end of the runway. We can say that the airplane was not even able to take off at the moment it was forced to land. We do not know if it was a mechanical failure," Cardoza said. An earlier report of the passenger tally did not include the two infants. 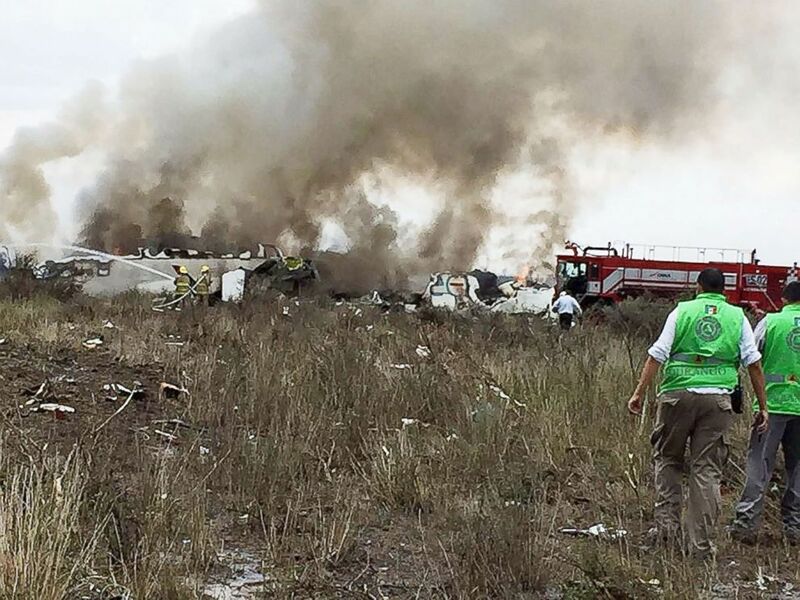 "It is confirmed that there were no deaths following the accident of flight Aeromexico 2431," Aispuro Torres wrote on Twitter. "At this moment on behalf of the cabinet, led by Coordinator Rosario Castro, to attend to the injured and cooperate with airport authorities with what has occurred." (Handout/EPA via Shutterstock) A handout photo made available by the Civil Protection State Coordination shows emergency personnel at the site where an Aeromexico plane crashed, in Durango, Mexico, July 31, 2018. The Embraer 190 aircraft was lifting off when it tried to abort the takeoff due to bad weather but it was too late, Aispuro Torres told reporters on Tuesday. The passenger jet went down after the runway ended, he said. The governor told The Associated Press that a gust of wind hit the plane shortly after takeoff, causing it to lose speed and hit the ground with its left wing. The jet skidded into a field horizontally, which allowed for the escape slides to be activated, freeing the passengers and crew before they caught on fire, the governor told the AP. Weather reports showed scattered storms in the area at the time of the accident. "[We] shouldn't have been flying, bro," passenger Juan Rivera told ABC News in an interview Wednesday. "We started picking up speed and then it started getting windier. She tried to pick up, then went back down. That happened like three times, bro. And then the third time we bounced we hit like a barrier." 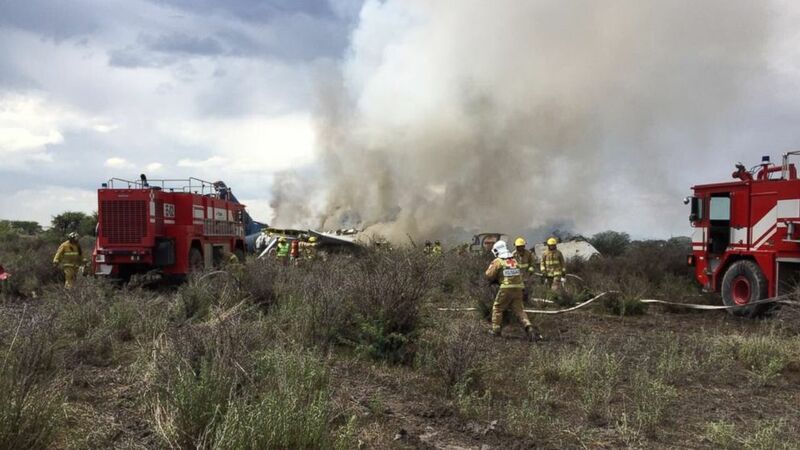 (Durango Civil Protection) An AeroMexico passenger plane departing from the Guadalupe Victoria Airport in Durango crashes moments after take-off. Photos posted by Durango Civil Protection show smoke rising from the apparent crash site, which was surrounded by first responders and emergency vehicles. "I just seen a bunch of smoke, opened the door," Rivera said. "I got out and started pulling people out. I looked at the side and there was a guy with two kids -- that's when I started getting the kids." The flight's pilot is among those injured and is in serious condition with burns, according to Aispuro Torres. Another person injured in the incident was Rev. Esequiel Sanchez, director of the Shrine of Our Lady of Guadalupe, according to a statement from the Archdiocese of Chicago. 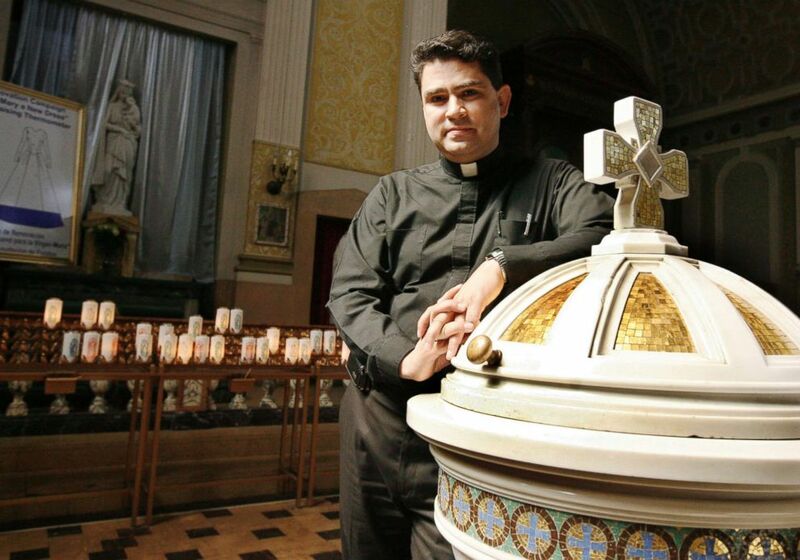 He was "alert and resting," the diocese said, adding, "We pray for Fr. Sanchez and everyone affected by this plane crash." Aeromexico, the Mexican airline operating the flight, wrote on Twitter on Tuesday that it was aware of an "accident" in Durango. On Wednesday morning, the airline tweeted that 64 people who were admitted to local hospitals following the crash have since been discharged. (New World Publications via Archdiocese of Chicago) The Very Rev. Esequiel Sanchez was injured in the crash but "alert" and "resting," according to the Archdiocese of Chicago. The Embraer 190 aircraft is often used for regional commercial flights around the world including U.S. carriers like American Airlines and JetBlue. 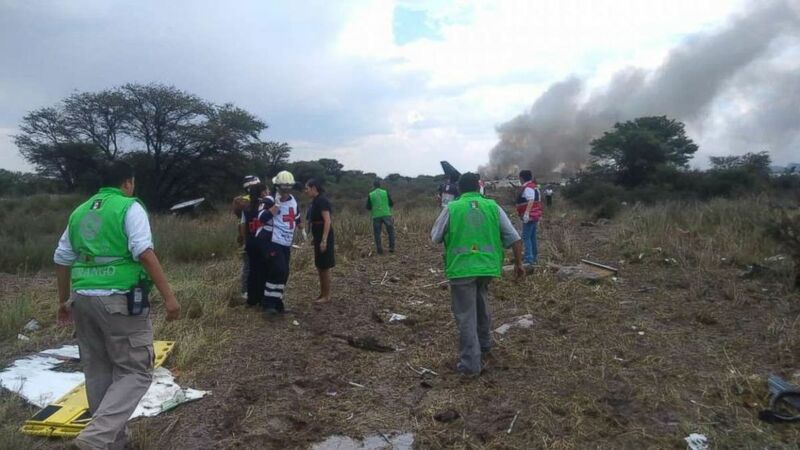 Embraer, the plane's manufacturer, said in a statement that technicians were sent to the crash site and that it was "aware of the accident. The Company stands ready to support the investigating authorities." ABC News' Jeffrey Cook, Joshua Hoyos, Whitley Lloyd, Kirit Radia and Darren Reynolds contributed to this report.